Superdry women’s Track runner trainers. Made from a combination of nylon and suede, these lace up trainers feature a Superdry logo badge on the tongue and debossed logo branding on the heel tab. 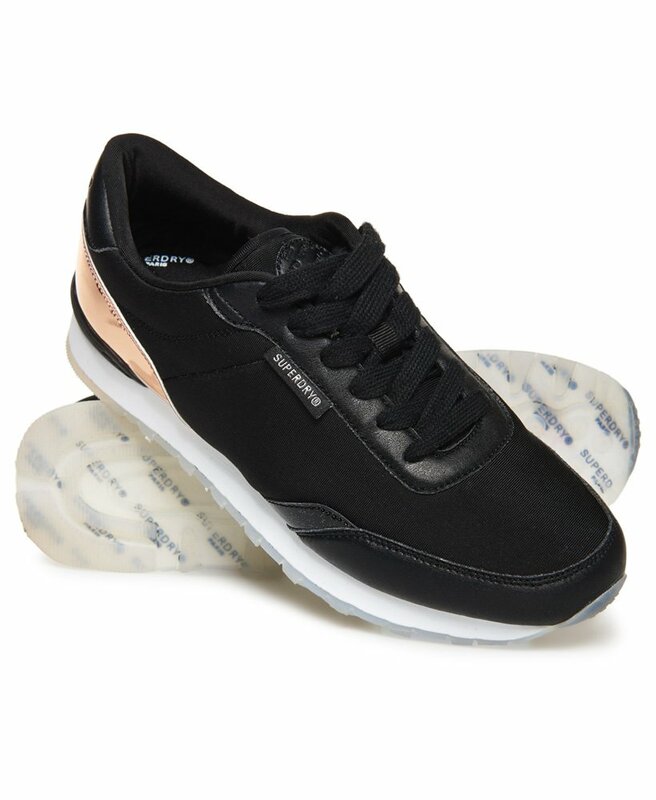 These perfect everyday trainers are finished with a semi translucent glitter sole (adding some sparkle to your wardrobe) and a logo tab on the side. Complete the look with a logo tee and a pair of our Sophia super skinny jeans.